About two-thirds of first-time buyers say they’ll purchase a home as planned and are unaffected by new mortgage rules brought in by Ottawa a year ago, says a new survey. Consolidating debt within a mortgage: Good idea? Recently I showed a close friend of mine how to consolidate their high-interest debt into their mortgage to reduce their overall interest rate and free up hundreds of dollars in cash flow every month. Debt consolidations are nothing new, but they only work if the person is not simply looking for a quick fix. Lenders make a lot more money when they renew your mortgage than on your initial term. That’s partly because they don’t have to compensate anyone for referring you (or compensate them as much). But it’s also because many renewers don’t comparison shop as much or negotiate as hard. When financing a home, the following considerations can help you to save money and provide for greater economic stability in the event of financial challenges down the road such as lower income levels, increased monthly expenses and/or higher interest rates. Are you looking to buy a home or condo on the Westside? Here are 8 common sense tips to help you find the best property quickly. The trick to making a mortgage disappear faster is to minimize your total borrowing cost. And nothing dictates total borrowing cost more than the term you chose. METRO VANCOUVER — The British Columbia Real Estate Association is offering a $10,000 reward to anyone with information that leads to the apprehension and conviction of the man who assaulted a realtor in Port Coquitlam in May. The number of new homes that sold in the Greater Toronto Area last month was the lowest of any June on record, as a steep drop in condo sales overwhelmed a rise in sales of houses and townhomes. The price of new condos dipped by a negligible amount, while those of detached homes and townhomes continued to rise. Mayor Gregor Robertson has sold his $1.95-million home near Oak Street. Mayor Gregor Robertson’s family home has sold for the $1.95 million asking price, his office confirmed Friday. The six-bedroom home was built in 1912 near Douglas Park and was on the market for two weeks. It may be stressful to think about it but higher mortgage rates are on the horizon. The questions for homeowners is whether they can handle a hike in interest rates. Bank of Montreal says consumers should stress test their mortgages a couple of ways, considering higher interest rates and a shorter amortization period. The geographic line that Vancouver real estate buffs draw to symbolize the million-dollar divide in housing prices has been shifting ever eastward over the years. While the high-end market has softened, this interactive map serves as a stark illustration of the broader housing market that has seemingly defied logic. 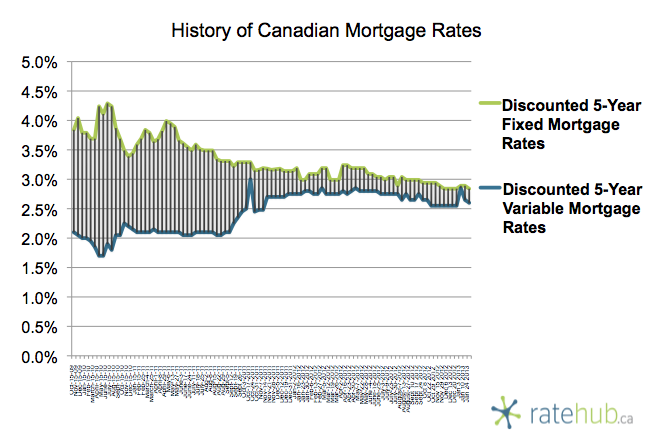 Fixed mortgage rates have bumped up recently. Is this the beginning of the end of bargain-basement mortgages? Canada’s central bank could surprise financial markets this week and signal a longer period of ultra-low interest rates, as exports languish and executives display little enthusiasm for spending their excess profits. Three in ten first-time buyers expect rates to stay the sameover the next five years, according to a BMO poll. But what if they don’t? Peace of mind comes from knowing you can handle higher payments. When rates rise materially from today’s levels, you don’t want to be among the 1 in 5 mortgagors who potentially face payment shock. Canadian home prices were 1.8 per cent higher in June than a year earlier, the smallest annual gain since November, 2009. A couple of recent surveys shed interesting light on the attitudes of home buyers in Canada. Both surveys -- one by one of the big banks and the other by CMHC -- suggest home buyers are getting smarter and more sophisticated. But there some who seem to be surprisingly naive. It’s the talk of the town once again. Interest rates. Savers are praying for an increase while those in debt have their fingers tightly crossed that any rise will come oh so slowly. The big issue for most is the mortgage. Variable used to win hands down over fixed rate when it came to saving money. 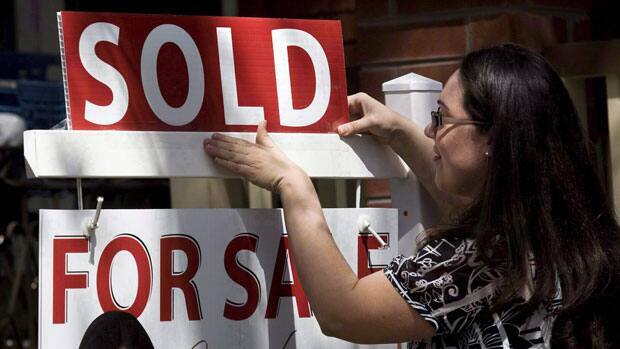 75 per cent of British Columbians are likely to stress-test their mortgages, a study finds. According to BMO’s First-Time Home Buyer’s Report, one-third of first-time buyers (31 per cent) expect interest rates to stay the same over the next five years. However, these first-time buyers may need to reconsider their outlook. The hottest new Canadian housing-market niche isn’t stacked urban townhouses or suburban condo towers, but homes of any kind priced just shy of $1-million, since federal government rules began favouring homebuyers paying in the six-figure range over bidders that break the million-dollar mark. For many architects, the humble house reno is not on their list of favourite projects.